Happy New Year from Skyline Cruises! We hope you enjoyed the holidays and you’re looking forward to a fun and prosperous year ahead. We also hope that we can be part of your events and celebrations in 2017. There’s a lot of reasons to book a Skyline Cruise and you can do it all year long. Our luxury yacht, Skyline Princess is climate controlled and sails in all types of weather because there’s never a bad time to see the spectacular sights of New York City. There are also plenty of great events we’re hosting over the next 12 months, so let us tell you the many ways you can make 2017 a year to remember with Skyline Cruises! The first quarter of the year is an excellent time to book a private yacht charter for your event. We handle everything from family celebrations like birthday parties, weddings, anniversaries, bar/bat mitzvahs. We also specialize in business meetings and corporate gatherings as well as not for profit events like fundraisers or seminars. You’ll have access to our experienced party planners who can help you come up with the right concept for your event. We’ll also provide you with catering options ranging from a cocktail party to a full sit down banquet. All of our catering is done on board. Please note, that we’re expecting renovations to be done at our home port located at the World’s Fair Marina in Queens during the first quarter of 2017. Please check with Skyline for more information and the location of your departure. As the weather gets warmer, you’ll find Skyline to be an excellent venue for spring events. 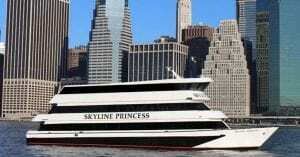 Two of our most popular are the public brunch cruises we have for Mother’s Day and Father’s Day. Both of these cruises feature a four-hour cruise past the majestic Manhattan skyline, a catered buffet brunch, personalized seating for your group and DJ entertainment. Spring is also a popular time to charter school events like proms, field trips formal and informal college or high school reunions. If you’re planning a prom or event for younger students, Skyline can provide a safe venue that can include fun options such as a dance club atmosphere and magician performances. As spring turns to summer, wedding season starts to go full swing. With iconic sites such as the Statue of Liberty as a backdrop, our weddings are the stuff of dreams. We offer a variety of packages and options and you’ll have access to our in-house wedding planners. Another major event in the summer is our popular 4th of July Dinner cruise. You can celebrate America’s 241st birthday in 2017 onboard the Skyline Princess with a dinner buffet, DJ and reserve seating for family and friends. The evening will come to a thrilling climax as you’ll get a front row seat for the annual fireworks display in New York Harbor. The arrival of autumn brings some of the most beautiful scenery in the New York metropolitan area. This is an ideal time to book a private charter to see the foliage. We also recommend one of our Long Island lighthouse cruises. These brunch cruises will take you past three historic lighthouses on Long Island’s north shore as well as historic sites such as the Kings Point Merchant Marine Academy and Hart Island. Before you know it, 2017 will be over. 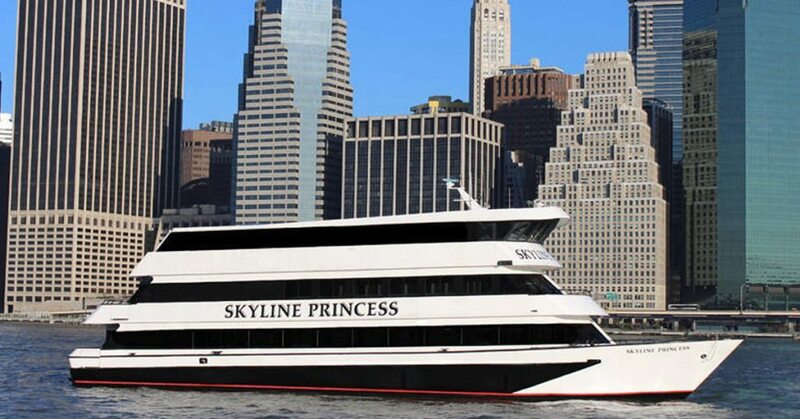 If you’re looking to plan a holiday event for your company or organization, consider booking a Skyline cruise. Our corporate cruises can accommodate all types of outings. We’ll end our look ahead at 2017 with our annual New Year’s Eve Dinner Dance Party. This five-hour cruise includes a premium open bar, party favors, a dinner buffet and a champagne toast. It will be a memorable end to what we hope will be a memorable year. We hope you’ll join us when you have an event or celebration. Contact Skyline Cruises for more information.